Oh my. I am loving our new closets. I know what you must be thinking. How could you possibly be loving the closets in a city apartment? Really? Oh, but yes. Really. Do you remember our home, the old historic home with all the charm and NO closet space? Well, it did have three closets, but those three closets were tiny. I mean tiny. They were each only about 12 inches deep, and roughly 36 inches wide. And they were about five feet tall. Of course when the home was built 112 years ago, I guess the folks only had one change of clothes. I say one because that is about all they would hold. 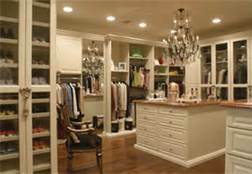 But now, our master closet is bigger than our old master bathroom. It is spoiling me. 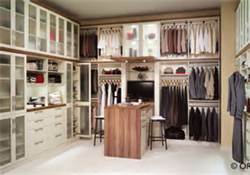 On top of that closet, the boys have a walk-in, and we have three other nice closets as well. It is so very nice. I drool over well-organized closets. But, I am coming to the conclusion that the only way to get the look I love would require that all our clothes be monochromatic-and my husband's shoe size needs to shrink tremendously. Well, so do his pants and shirts. (We girls always long for tall, dark, and handsome but nobody ever prepares you for the tall part.) The clothes and shoes are quite the space takers! My husband is 6'4". Space hog. I do love him so, but his clothing and shoes definitely require large closets! But, we all know that isn't happening any time soon. 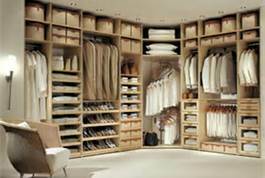 I can't even imagine having enough things to fill a space like one of those above closets. I admit, as nice as it is, it is too much. It is dreamy, for sure, but too much. I am quite happy with the closet we have now. I just want to pretty it up a bit. It's something I am working on, but I really think to get it as pretty as I want, we both need new, matching clothes! -Um, that is never happening! So, I will just enjoy the space and keep tweaking it as I always do all our spaces! Yeah, our closet has to hold things like suitcases and guitars. There has to be space for hunting clothes and cowboy hats. My knitting bag and basket of fabric have to fit in...oh and our clothes. So, I can dream of the lovely organized closet. But hangers, baskets, and coordinated organizers can't mask the extra stuff or the colorful array of life. And, that is OK...it is a closet, after all. "sets" that allow all sorts of camera angles. And yes, the clothes are merely props...so they can be all small and white and tan. They bear no resemblance to a real-life working closet, so they simply fuel our fantasies. But it is fun to dream. Oh IKEA and their wardrobes.... Love.